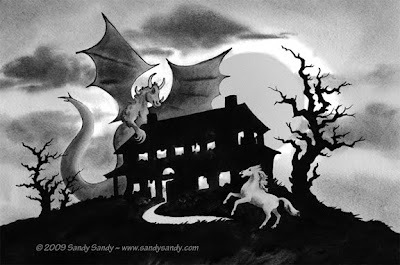 Fall has come to New Jersey and so has an obsession with Halloween and the JERSEY DEVIL! Weird sounds and screeches woke me from a sound sleep last night. It got me wondering if it was my ole' pal JD, coming to check on this year's artwork for the Cranberry Festival Yearbook. Anyway, my files have been sent off to the printer and I should be getting a proof any day now. 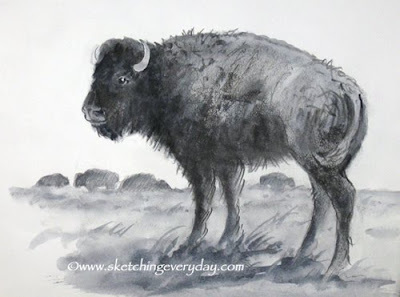 I thought I'd post the black and white version today, since I showed preliminary sketches here during the summer. 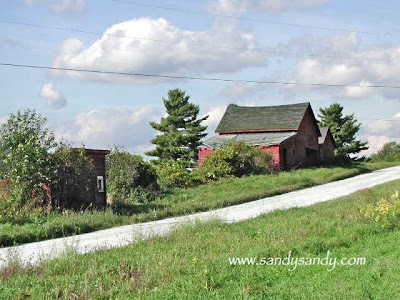 I hope you are all enjoying the wonderful fall weather and hope to see some of you at the Apple Festival or Cranberry Festival this month! This beautiful Costa Rican super sweet pineapple is sitting on my kitchen table as a center piece at the moment. It looks so nice there, I almost hate to cut it. I thought I had a week or so to allow it to ripen more, but I just read the tag and it says on this particular type, the sugar pine, color does not indicate ripeness. The tag states that once the pineapple is harvested, they no longer mature and it should be consumed as soon as possible. 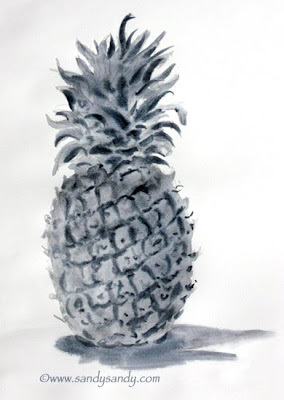 Well, at least I got a pineapple sketch and it was pretty while it lasted! 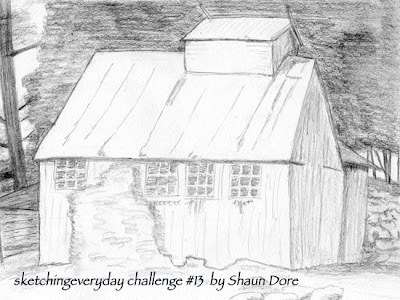 I also got another challenge sketch this morning from Shaun Dore. 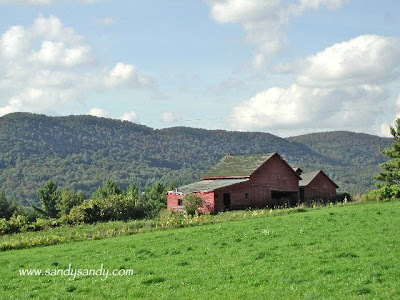 He writes; "Here is my contribution to your challenge. 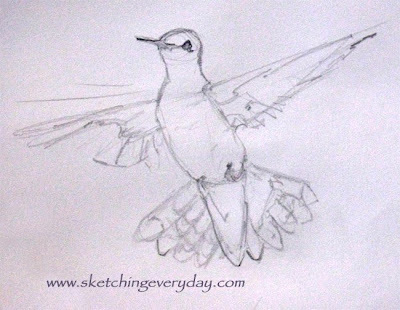 I have not been sketching for long so I have a lot to learn. However, I really enjoyed preparing this today." Thanks Shaun. I see you were holding your pencil like a wand too. Good job! 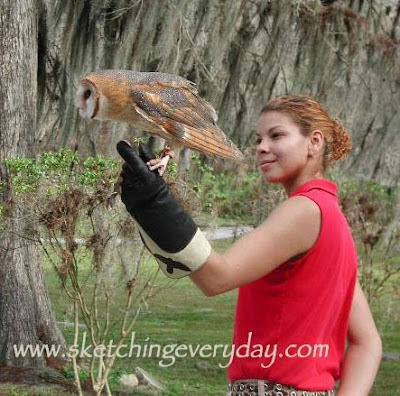 Here today are the photos for this year's final sketching challenge. This was drawn from a rubber duckie on Chevy car salesman, Al Miller's desk (856-461-4800) at Barlow Chevrolet in Delran, NJ today. I did it while I was waiting with Jerry as he sealed the deal on a brand spankin' new gorgeous Chevy van. 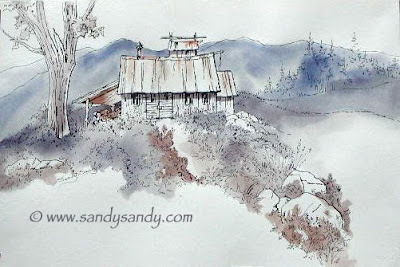 I wanted to do the wash there too and had my trusty traveling sketching box, but didn't see a water source close by. 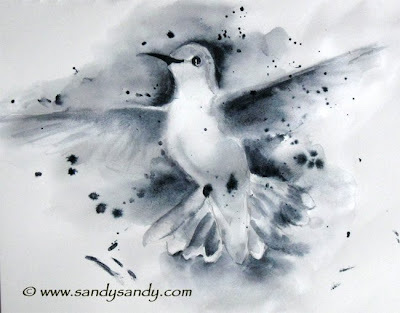 I finished this in a couple of minutes when I got back to the studio. There are over 40 hidden pictures in this drawing. How many can you find? 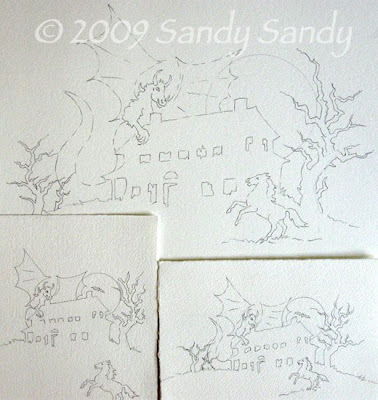 These pencil drawings of the Jersey Devil and the White Horse Inn were traced onto watercolor paper and are ready for color. 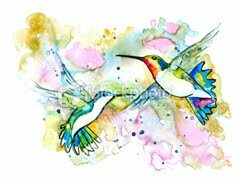 Every year I do one large piece and two or three smaller watercolor originals. 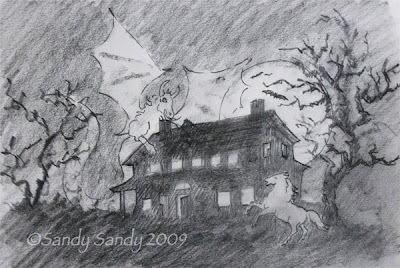 These are most likely already sold to my eager Jersey Devil art collectors. 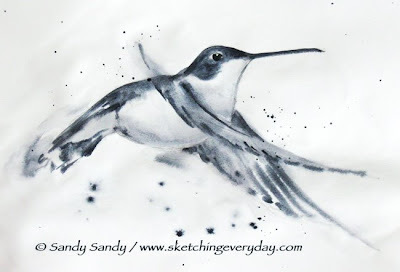 We've got a storm brewing here and the hummers are going wacky! 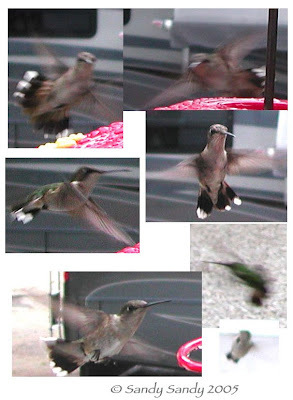 Here's the first two steps of my six step technique done tonight from my favorite telephoto hummingbird shot. 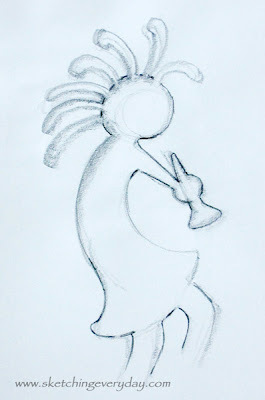 Here's the start of the new Kokopelli challenge drawing. I'm trying to keep my drawings as simple as possible (KISS) so some of you will give it a try too! 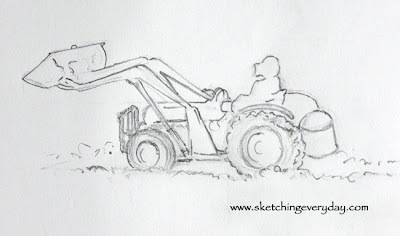 On this sketch I looked at the negative shapes while drawing, just as much as I looked at the positive ones. 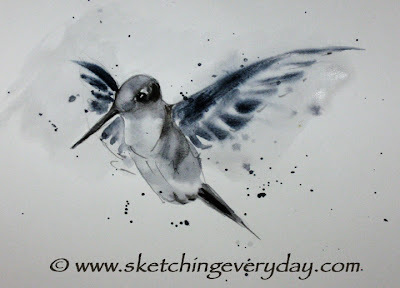 I also just got this wonderful hummingbird sketch (with watercolor wash applied) from Judy Scott. She writes; "Finally got another challenge done. 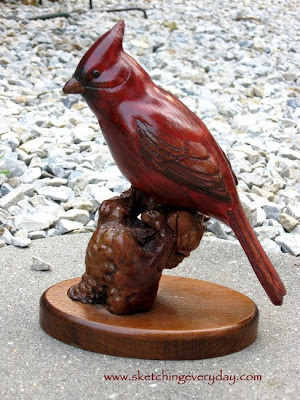 I really enjoyed your pictures and your updates on the birds. 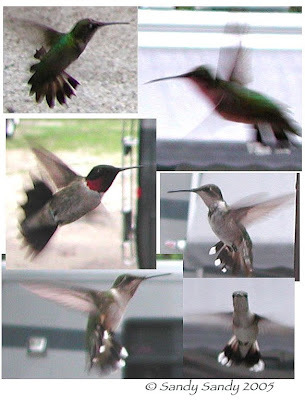 I hear people say 'I have a couple of hummingbirds' and I tell them they need to check your website to see all your hummers. You sure do something right. I can't believe summer is almost over. I look forward to seeing your emails each day. " What a great drawing and nice note Judy. Thanks so much! 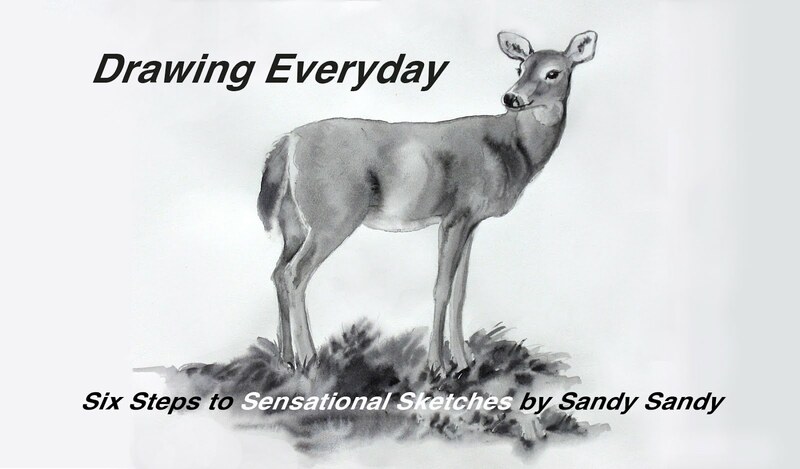 Yes "Drawing Everyday is coming to an end for another year. 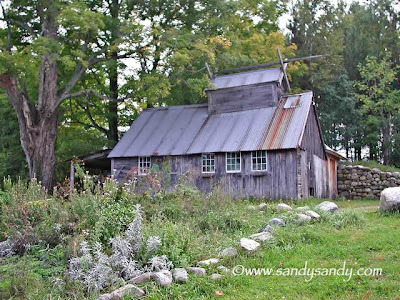 It is hard to believe that fall is just around the corner. Keep it sensationally simple! 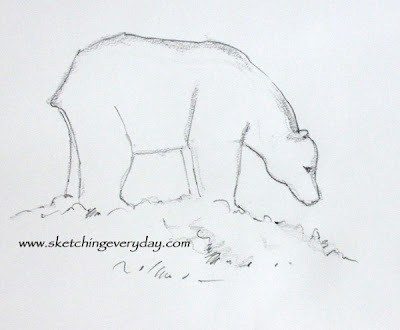 This bear sketch is about as simple as they get. 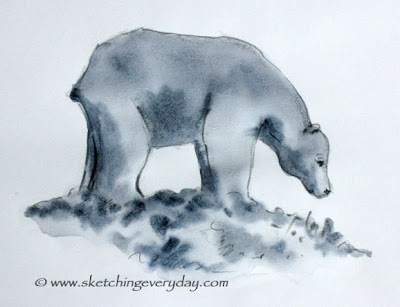 This quick bear sketch was done from across the room of a lamp I have in my studio while I was waiting for something to download on my computer. 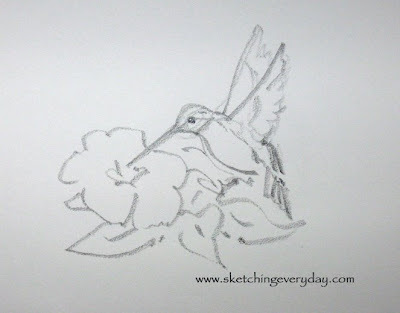 In just a minute or two, you too can sketch while you are "waiting". 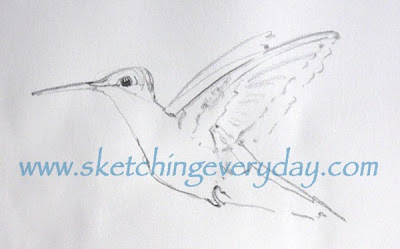 Like I've said before, "If you get into the habit of sketching, you'll never be bored!" You can now license a high resolution version of this image here. 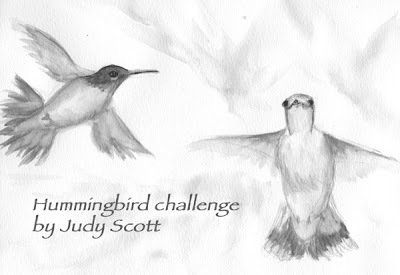 Here's the finish of yesterday's drawing and a composite image I did of three of the hummers from this week's sketching challenge series. 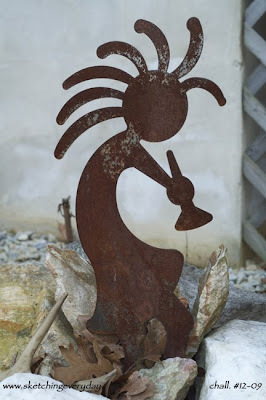 I'm posting a photo of a simple Kokopelli garden ornament for this week's challenge. Why don't you give it a try? 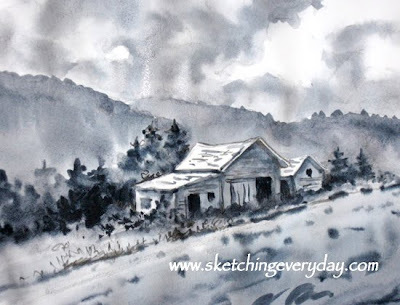 Another sketch from this week's challenge. Tomorrow I'll finish this up and post the next challenge photo. I'm really having a good time with the current sketching challenge. 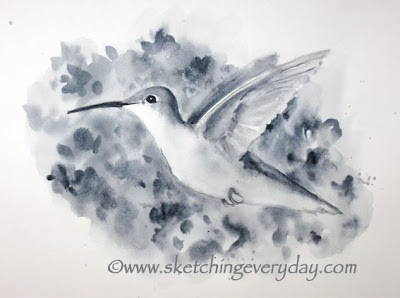 Here's my finished hummingbird drawing that I started yesterday from the photos I posted. 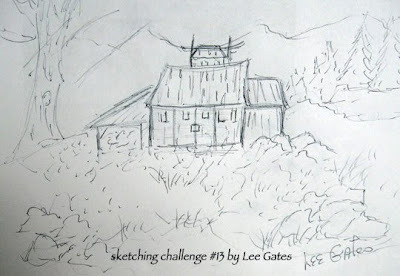 Here's a sketch from my challenge photos. Crazy, yes I'm crazy for my little cuties. 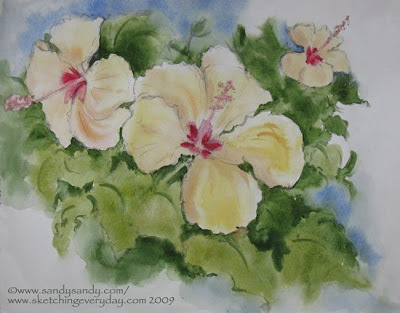 See the photo I did this from here on sandysandysweblog. 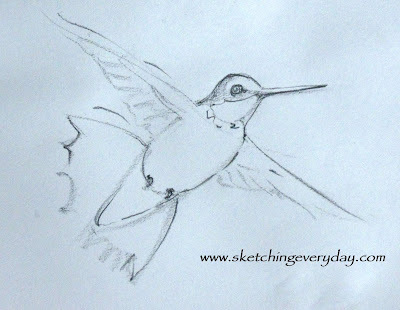 Ok, I know this isn't "A Hummingbird Everyday", but they are a big part of my daily life these days. This 2 min. 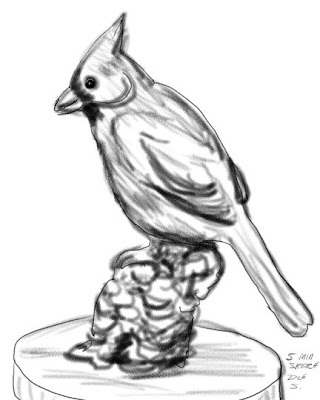 sketch is from one of the many photos I took today. 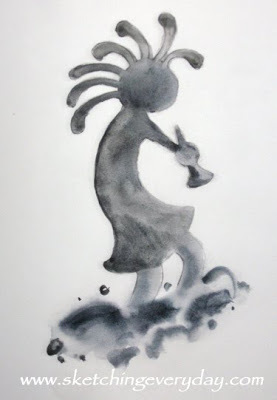 She kinda reminds me of a Flamenco dancer. 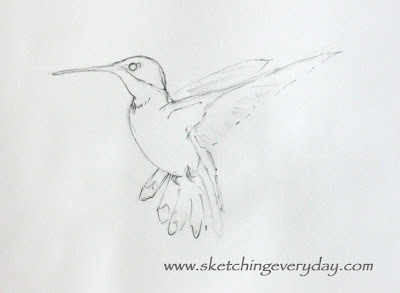 I got a hummingbird sketch from Christine Braziel out in Fresno, CA, yesterday. She writes;"I finally took you up on your challenge. 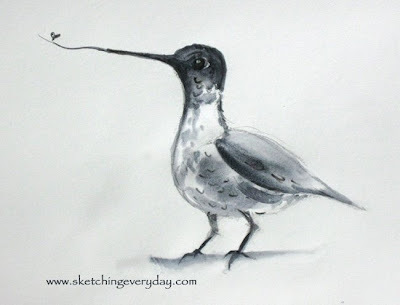 I am not good at drawing (probably because I didn't follow along with you all summer) but I have so enjoyed your drawings and your commitment that I thought I would send along my little hummingbird. 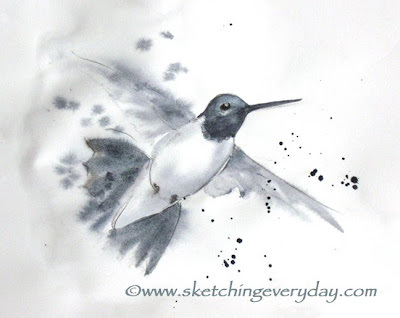 Thanks for sending all the fantastic drawings.~ Christine"
Christine, you also got me inspired to do a hummingbird sketch from my hummer photos today! Thanks again. The summer is speeding by! 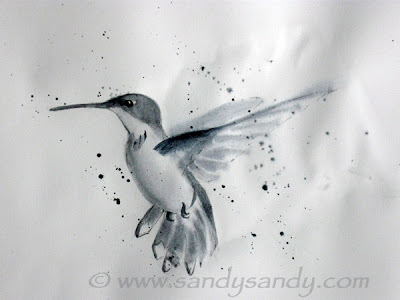 It's raining cats and dogs here and I can hear the hummingbirds outside my studio, just having a ball in it. 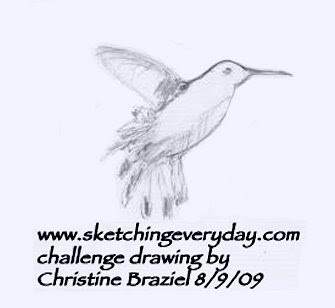 There's only a few more weeks of Drawing Everyday, so if you plan on submitting a challenge sketch, here's your chance! 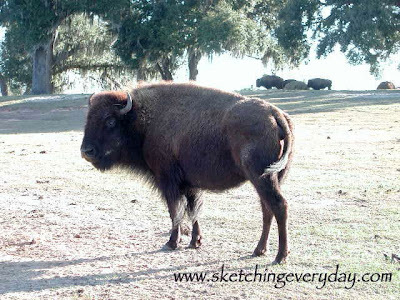 See two new photos posted here. Choose one pose or a few. The choice is yours. actual object as I like to draw from life as much as possible. 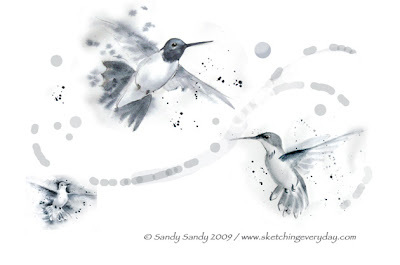 What a crop of hummingbirds we have here this year! I'm really getting excited because I'm renting two telephoto lenses next week so I can shoot my little treasures. What a challenge it will be and what fun! 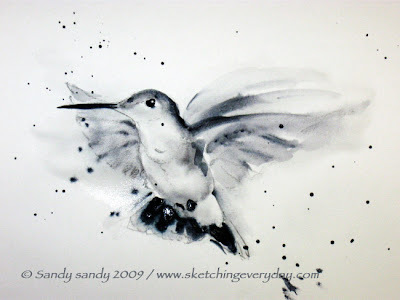 Here's tonight's sketch of one of the many youngsters we have here at the Sandarosa. All you local peps are welcome to come by and see for yourselves. Just give me a call. Don't delay, because they'll only be around for few more weeks. 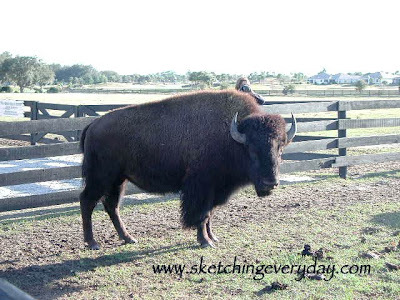 I have not been getting much feedback here or people sending in challenge sketches, so the next photo for our current challenge is REALLY SIMPLE! I hope a few of you will try it. 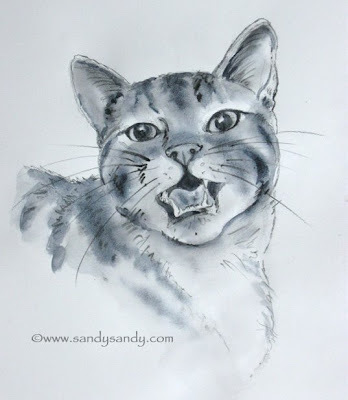 Here is my finished cat drawing from last week's challenge photo. 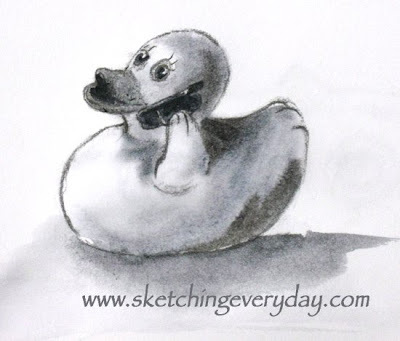 Here's the first step of our second current sketching challenge. It took me about 5 minutes. 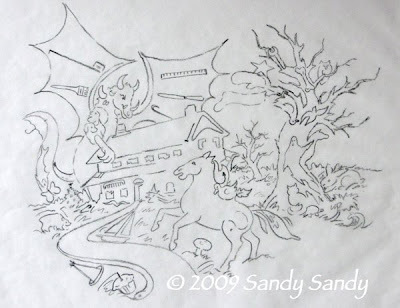 I held the pencil like a wand and tried to block in all the major shapes. Notice I did lightly sketch in those bars as guides. 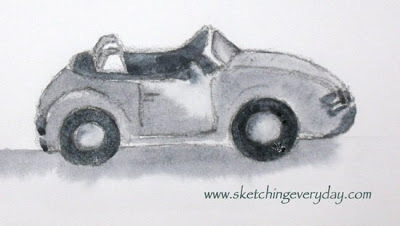 I'll post the finish tomorrow with the next photo for this week's challenge. Yesterday I had a long day. 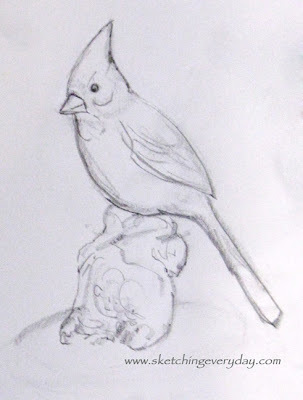 I was on the road to and from Maryland and in a workshop all day and did not sketch. Today I'm making up for it. 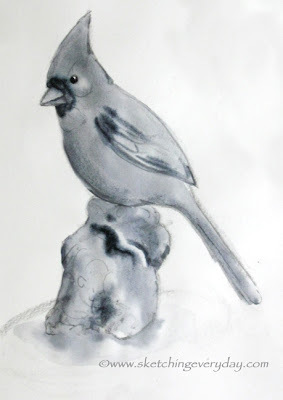 Here is my drawing for Saturday and Sunday. This first shot shows steps 1 & 2 of my 6 Step technique. 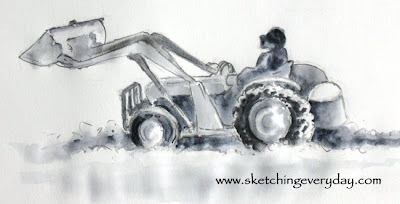 Here's the tractor drawing with the wash applied. 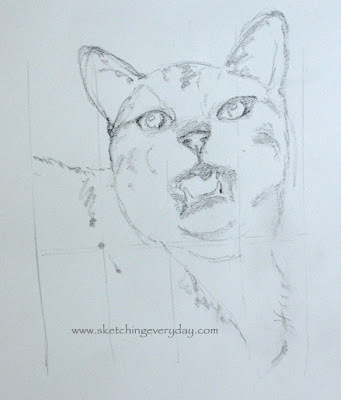 I'll add some splatters of white paint for snow on this drawing later to really finish it.